Noun: an ancient Nordic game played by 2-12 people using wooden batons that are thrown at wooden blocks (called Kubbs) with each team taking turns trying to knock them down. In the center, is the Kubb King, which is the last piece knocked down to win the game. 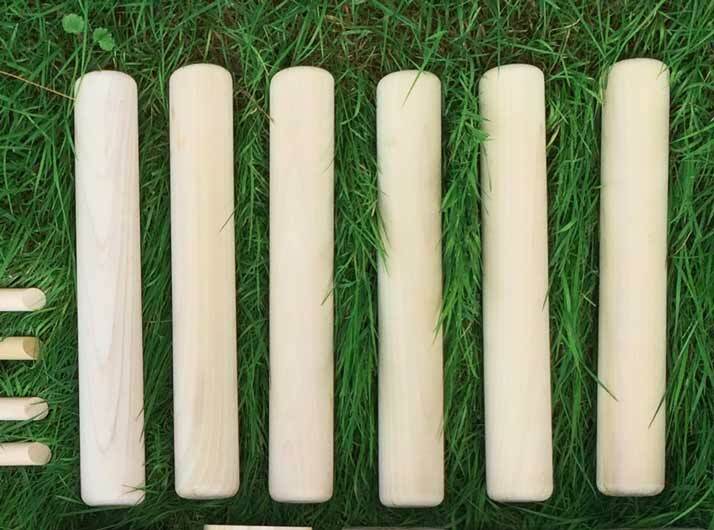 Kubb can be enjoyed by all ages and is played in grass, sand, or snow. Perfect for tailgating, barn-raisings, beach days, snow days, BBQ's, and weddings.